For new democracies and societies emerging from conflict, effective systems of dispute resolution are essential to maintaining a lasting peace and preventing violence. In Liberia, researchers examined the impact of introducing alternative dispute resolution (ADR) trainings on the rate at which community members resolved property disputes, the level of satisfaction with the resolution, and the incidence of violence related to the disputes. Communities that received ADR workshops were more likely to resolve land disputes, experienced less violence, and had higher levels of satisfaction with the dispute resolution process— especially for long-standing disputes. For new democracies and societies emerging from conflict, effective dispute resolution mechanisms are essential to maintaining a lasting peace. Without these systems, every land boundary, business deal, will, or loan could lead to a dispute, some of which turn violent. Formal structures for conflict resolution, such as courts, often garner the most attention, but many disputes are settled through informal institutions—governed by shared, unwritten rules of appropriate behavior enforced through social sanction and praise. Informal institutions, however, may produce resolutions which are biased towards the powerful and bargains that are difficult to keep, putting these contexts at greater risk of breaking down into violence. In weak states, strengthening formal conflict resolution institutions can take decades. In the short term, what can states do to improve the quality of informal dispute resolution and reduce violence? Alternative dispute resolution (ADR) trainings are a potential solution which aim to teach a set of skills and practices that can help build community norms around how people should resolve disputes. By building improved dispute resolution skills and norms, ADR could help parties reach self-enforcing bargains faster than through the formal court system, but there is little evidence of its effectiveness. 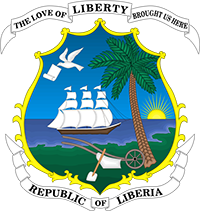 Between 1989 and 2003, Liberia’s civil wars killed hundreds of thousands and displaced the majority of the population. Well after the 2003 peace agreement, underlying tensions between tribes over land and between youth and elders continue to threaten the peace. Police and court systems are slowly rebuilding. 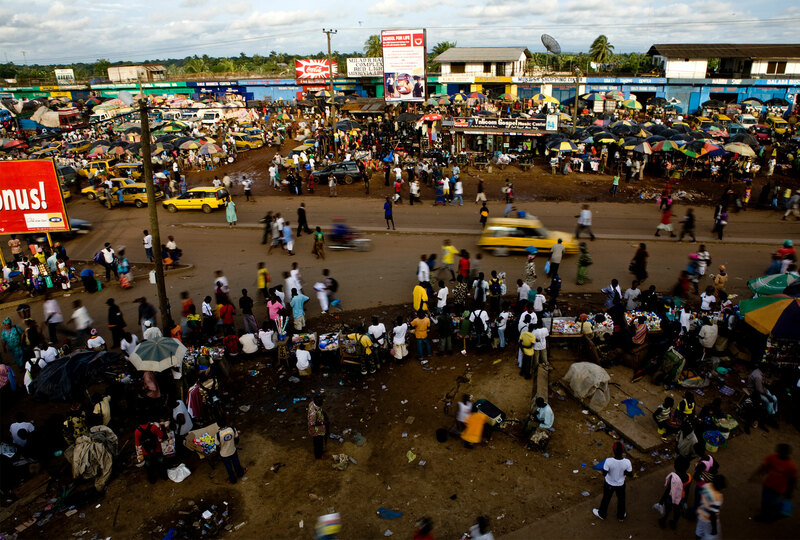 As a result, Liberians mostly rely on local informal institutions to settle disputes, which are often difficult to resolve for a variety of reasons. Without a central authority to mediate disputes, rival forums for resolution can lead disputants to shop for forums with more favorable outcomes. Additionally, unclear property rights with poorly marked boundaries can lead to multiple claims on the same property—a problem which is exacerbated by the large number of records destroyed during the war. In an effort to maintain peace, the UN’s Peacebuilding Commission and the Government of Liberia partnered to promote non-violent dispute resolution and inter-group reconciliation. The intervention targeted communities in densely populated counties most affected by the war. Researchers partnered with the Liberian Government and the UN to assess how civic education and conflict resolution programs can contribute to a broader peacebuilding agenda. The remaining 130 communities served as a comparison group. In treatment communities, pairs of facilitator ran ADR training workshops which included eight day-long sessions over the course of two months. During the trainings, groups of 35 residents, both men and women, participated in lectures, group discussion, and role-playing exercises. The workshops focused on teaching tools, skills, and practices to strengthen community members’ dispute resolution abilities. The training drew on a wide range of examples, but emphasized interpersonal disputes, especially the land and neighbor disputes common in the area. Overall, the workshops aimed to strengthen informal methods of dispute resolution, such as decisions by customary leaders, and to train and encourage ordinary residents to negotiate their own disputes or mediate those of neighbors. For the analysis, researchers collected survey data from nearly 5,500 community members on their dispute outcomes. Alongside the randomized evaluation, researchers conducted an in-depth qualitative study in 20 of the communities to understand the mechanisms by which ADR workshops affected dispute resolution. ADR workshops led communities to resolve land disputes at higher rates, less violently, and with more individuals reporting satisfaction with the outcomes — especially for long-standing disputes. However, treated communities experienced more extrajudicial violence. Higher rates of property dispute resolution: Communities assigned to receive ADR workshops experienced a two percentage point (29 percent) drop in unresolved land disputes, relative to seven percent of individuals reporting unresolved land disputes in the comparison group. Among community members who reported having a land dispute in the past year, ADR trainings led to a 7.3 percentage point increase (11 percent) in the share of land disputes resolved in the community. The ADR workshops improved land dispute resolution regardless of whether or not residents had participated in prior peacebuilding education trainings. In contrast to the results for property, ADR did not lead to significantly better outcomes for disputes over money. Better satisfaction with dispute outcomes: Sixty-four percent of residents involved in a land dispute reported being satisfied with the outcome in communities assigned to receive ADR— a 10 percent increase over the 58 percent satisfaction rate in comparison villages. Equal impacts on marginalized groups: Despite worries that emphasizing informal dispute resolution could negatively impact people with little power, ADR trainings did not lead to worse outcomes for women, youth, the poor, or Muslim minorities. However, ethnic minorities experienced no positive effect from the ADR trainings on average, implying that they did not report improvements in resolution rates or reductions in violence. Effects on violence and property destruction: In communities which received the ADR workshops, land disputes were 1.3 percentage points (32 percent) less likely to result in property destruction from a base of 4 percent in comparison villages. However, training appears to have had no systematic effect on violent communal disputes overall. The incidence of intertribal violence and violent strikes or protests changed little. Increases in extrajudicial punishment: The ADR program also led to a 9.2 percentage point increase in witch hunts and trials by ordeal—a traditionally common (and now illegal) means of community punishment and justice. This represents a 181 percent increase in extrajudicial punishment relative to five percent of comparison communities, a serious side effect that may have resulted from the increased emphasis on informal dispute resolution. Blattman, Christopher, Alexandra Hartman, and Robert Blair. 2014. "How to Promote Order and Property Rights Under Weak Rule of Law? An Experiment in Changing Dispute Resolution Behavior through Community Education." American Political Science Review 108(4): 1-21. Alexandra C. Hartman, Robert A. Blair, Christopher Blattman. "Engineering Informal Institutions: Long-run Impacts of Alternative Dispute Resolution on Violence and Property Rights in Liberia" NBER Working Paper No. 24482. April 2018.